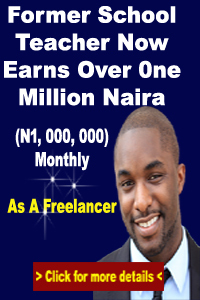 By now, you must have heard or read about freelance and how it has made life easy for many people. However, what you do not know is that freelance is still a big secret because many just know what it is but not the benefits it can bring them. Sadly, Nigerians constitute one of those nationalities that are yet to take advantage of freelance. 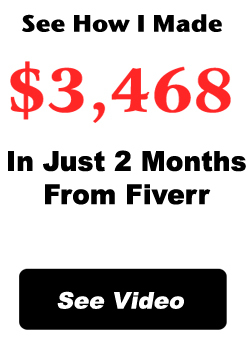 Other countries know about what they can gain from it and are joining freelance sites in droves. For instance, according to a survey conducted by Forbes, freelancers now make up over 35% of US workforce. That percentage represents about 55 million Americans. Don’t these people know something that you don’t know? The interesting part of all of these is that the population of people who go freelance does not indicate lesser chances for you. The reason is that the sky is big enough for everyone. In as much as you have a skill that you can sell, you will always find buyers who are willing to pay you for it. And as Nigerians, we are naturally good in anything we give out attention. So, you can be confident that you can perform better than many people from other countries. For the sake of Newbies, what is freelancing and who is a freelancer? A freelancer is a person who is self employed and render different services for clients and get paid for the services. the services ranges from those that require special skills like programming and web development to those that may not really require any specialized skill like copy and paste, data entry, transcribing etc. the services that can be rendered as a freelancer varies a lot. they include: programming, writing, copy writing, graphics creation/editing, data entry, singing, translation etc. Now consider the following reasons why you should go freelance. 1. You learn on the job yet get paid for it: Anybody who is a freelancer will agree to this fact. You don’t have to wait till you are perfect before you start selling your skills. As a matter of fact, what will bring you towards perfection is frequent practice of your skill. But what can be better than the fact that you are learning the ropes of the job but you are getting paid for it by different buyers. You have to realize that people need what you have! 2. It’s a cheap way to earn: If you are a worker, you are aware that a sizable part of your income goes into trying to keep earning such as transportation, dressing, feeding etc. If you go into freelance, you don’t have to worry about spending to ensure you keep earning. Freelance costs almost nothing to start or to operate! 3. You get to work for fun: Any skill you have is an indicator that it’s something you enjoy doing. Unlike scenarios where you get tasks that you don’t like; in freelance, you work based on your strengths. You pick a niche that you are comfortable in and then work as though you are having fun. You can as well punctuate work with making phone calls, checking your social media accounts, singing, or doing anything you like. Pure fun! 4. You don’t have to work from 8am-5pm: Who says you have to put in nine hours of work each day before you can make ends meet? Then that person is yet to know what freelance means. Every freelancer knows that work schedule is often flexible. You can work from 8am-10am and have a long stretch of break only to work from 4pm-7pm. This is just an example that freelancers can relate to. 5. It’s a great way to earn full time: So you are looking for a job and you’re yet to find any? Try freelance (after all, it costs nothing!). You can dedicate the data that you use on social media to an avenue to earn while you wait for one of your applications “to click.” Many Nigerians who are unemployed have since turned to freelance and have not regretted it ever since. You can take freelance as a full time job and it will pay you well (especially since the payment is in foreign currency!). 6. It’s a great way to or part time: Are you a student or a worker? Are you in need for another source of cash? Freelance has got your back. Freelance does not mandate you to work non-stop for hours. You can work at your pace. That means you can work a few hours each day to shore up your income. 3-4 hours each day as a part time worker can be a great boost to your finance. 7. You can choose your holidays: Those who work in an office environment know how difficult it is to get their off-days approved. But when you work as a freelancer, you get to have a lot of free time for yourself. For instance, you can have your weekends all to yourself. However, there are times that you need to stay away to attend to certain issues around you or just to relax. Freelance makes it possible. You can choose your holidays without taking permission from anyone. For most people, three factors serve as the basis of accepting a job offer and they are: a good take-home pay, convenient working conditions and the opportunity to improve their skills through use (performance). Freelance offers you these three benefits and many more. If you are still toying with the idea of trying freelance, make the decision today! You need to put it at the back of your mind that the skill which you have and look down on can fetch you cool cash beyond your imaginations!